In what may or may not be a coincidence, this morning’s New York Times tells the story of the latest lock of George Washington’s hair. And — because this is “06880,” with the tagline “Where Westport meets the world” — the story naturally includes a detour to Westport. Our 1st president’s hair was recently found tucked inside a book on the 3rd floor of the Union College library. I will resist here any comparisons between Washington’s meticulous hairdo, and that of the current occupant of the office. The book that held Washington’s hair was owned by Philip J. Schuyler, a businessman from a prominent New York state family. One of his descendants — also named Phil Schuyler — married into Westport’s Bennett family. A noted journalist, PR executive and tennis player, he lived in his wife’s family’s South Compo Road home. It was built before the Revolutionary War. Around the time that Philip J. Schuyler was requesting George Washington’s hair, Phil Schuyler’s Tory ancestors were watching — and aiding — the British as they marched from Compo Beach, on their way to burn the arsenal at Danbury. Albert Einstein’s hair was even better than George Washington’s. Reznikoff takes an agnostic view toward the legitimacy of the hair in the Union College library. “Any relic, just by its nature, requires somewhat of a leap of faith,” he says. Reznikoff does his relic-collecting in Westport. His University Archives is based on Richmondville Avenue. Of course — this being Presidents Day — we should note all of Westport’s George Washington connections. In 1780 the general is said to have discussed war strategy with the Marquis de Lafayette and Comte de Rochambeau at the Disbrow Tavern (where Christ & Holy Trinity Church is today). But I’m sure his hair looked fine. 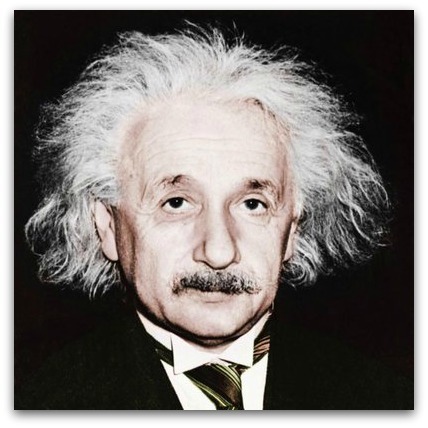 I prefer Albert Einstein’s hairdo that of the “current occupant” of the White House. You have missed one of the most important Westport links to George Washington, through the Greens Farms Congregational Church. Our minister, Hezekiah Ripley, was Washington’s Chaplain in the Continental Army, and was present at his famous farewell to his officers at Fraunces Tavern in New York City. Upon the President’s death n 1799, Martha Washington gave memorial pitchers to several of his senior officers, including Ripley. This pitcher remained in the Ripley family until perhaps 10 years ago, when the remaining Ripley brothers donated it to the Church, where it remains on display. It is thought, though likely not verifiable, that Washington once visited a prior meetinghouse of our congregation.